I hope, fingers and toes crossed, that your answer to that is yes. If it was no, keep lettering by copying other people’s work and that’s cool, but you aren’t really growing your own talent. Eek, don’t hate me, but I had to say it. Because I’m will never tell you to copy what I do. 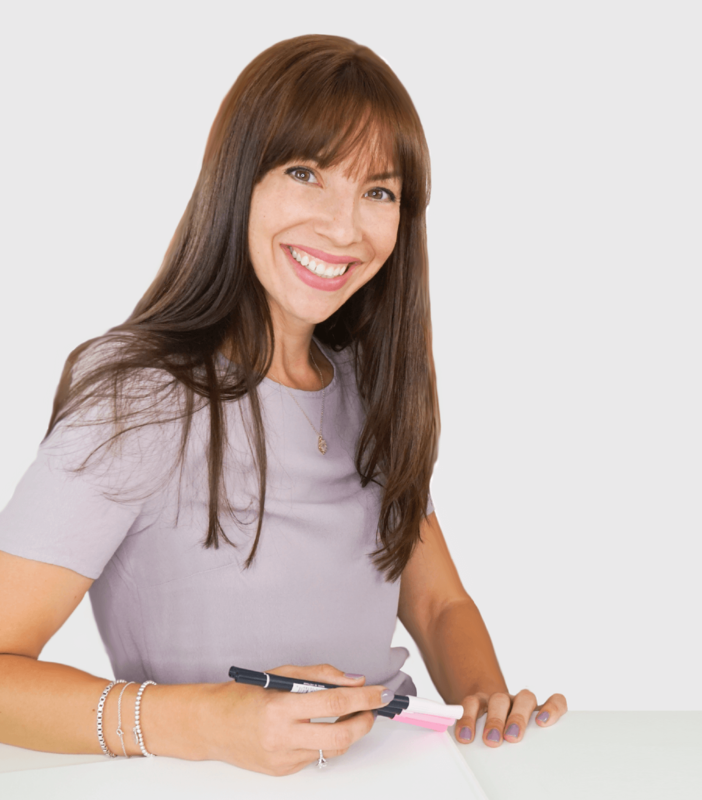 In fact, I’m here to tell you the exact opposite – look at what I do and then, look away and make your own pieces with totally different words and different styles! Because that is you! Lettering is huge right now, and it’s getting bigger by the day. On the one hand, that means that there are so many of us to enjoy it and push each other along, but, in reality, it also does mean that we’ve got more and more competition. Neither one of these is better than the other! Lettering is amazeballs. It is so relaxing and enjoyable. 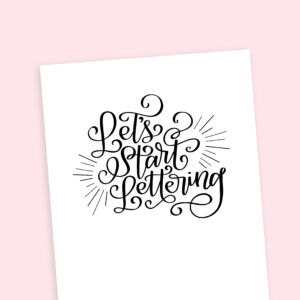 I’ve had so many people who have taken my Let’s Start Lettering course write to me to tell me just how therapeutic they have found lettering and now they’re totally hooked! And then sometimes you want to take it that next stage. But what if you want to sell your work? Then you have a crazy, serious and honest question to ask yourself… Why will people buy it? The first reason is because they’re related to you or they are close friends. I’ll admit it, those were most of my early sales. It’s not just because they love us, it’s because they want to support us in our dreams. But if you want to get orders from people who don’t know you, there has to be something more. Do I have my own style? Is there a point of view? I don’t know if you noticed a theme in these questions but there most definitely is one. It is you. You are the consistent theme. And that’s exactly my point. 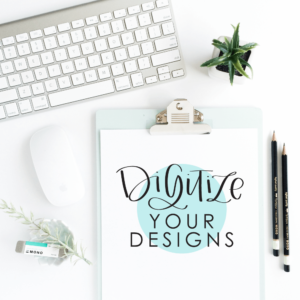 Your lettering needs to be yours! Not a copy of something that you’ve found or a replication of someone else’s style, but your own unique work. I would agree that this is easier said than done in this world where we are always learning from each other, sharing our work and, in my case, pretty much opening the book on everything that we know. So if I’m telling you everything that I know, you could just take one of my pieces and duplicate it, right? Wrong. Doing this doesn’t give you positive answers to any of the questions that I asked above. 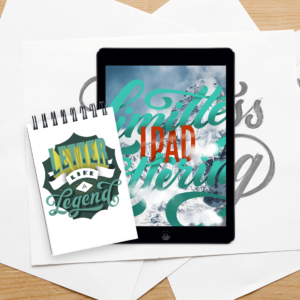 But if you love lettering, there’s a better way to do it! That is by finding words to write that you connect with deeply (it’s like anything else that you do, if you care about it, it shows in the quality of your work) and then develop your own style. And that might be the part that makes you throw up your hands and say “forget it, I’m out.” Don’t click away yet! Because I want to help you with this!! A few posts back, I showed one video from my Let’s Start Lettering course that goes through my process for developing new letters. If you haven’t watched it yet, do that! I only cover one letter, but it shows just how many different ways you can write it. I’m going to assume that you watched the video so you know that I show lots of examples for the one letter. But you might need more info about how I decide to alter letters from one form to the next as I move through a page and change the letter shape as I go. I want you to be fully prepared to head out and create your own letters so I’ve made you a worksheet to download and use to work through some new letter shapes. Push yourself and see just how far you can go! Developing your own style is one of the most important keys in successfully creating a name for yourself in the hand lettering and calligraphy world!